One of the few statutory payment remedies available to subcontractors and others who provide labor, services, equipment and/or materials on public works projects is the stop notice. A stop notice requires that a public owner withhold from the original contractor an amount sufficient to satisfy the claim stated in the stop notice. The purpose of a stop notice is to apply pressure to an original contractor to pay its subcontractors and others, or risk not getting paid by the public owner, and, in less common situations, to protect subcontractors and others where the original contractor may be unable to make payment due to insolvency. California Civil Code section 3186 provides that the amount to be withheld by the public owner be “an amount sufficient to answer the claim stated in the stop notice and to provide for the public entity’s reasonable cost of any litigation thereunder.” In Tri-State, Inc. v. Long Beach Community College District, 2012 WL 764416 (March 12, 2012), the California Court of Appeals for the Second District addressed whether a public owner’s “reasonable cost of any litigation thereunder” incudes the public owner’s attorney’s fees. In Tri-State, Tri-State, Inc. (“Tri-State”), performed work under contract with Taisei Construction Corporation (“Taisei”), the original contractor, on a construction project owned by the Long Beach Community College District (“District”). Tri-State delivered a stop to the District claiming that $1,134,998.06 remained unpaid and owing by Taisei. After Tri-State filed a lawsuit to enforce the stop notice, Taisei obtained a stop notice release bond in the statutory required amount of 125% of the amount claimed in the stop notice, and the parties entered into an agreement whereby the District agreed to accept the release bond in exchange for its dismissal from the action. Thereafter, the District sought an award of $10,974.50 in attorney’s fees as the prevailing party in the action under Civil Code section 3186 in which it claimed that its attorney’s fees were part of its “reasonable cost of [ ] litigation thereunder.” The trial court agreed and awarded the District its attorney’s fees. The Court of Appeals, however, disagreed. We believe that the Legislature would have expressly provided for an attorney fee award in favor of the prevailing party in an action to enforce payment of a claim stated in a stop notice for public work of improvement, or in favor of the public entity in such an action, if the Legislature so intended. The absence of such a provision and the absence of any language in Civil Code section 3186 expressly authorizing an attorney fee award indicate that the Legislature had no such intention. Our review of the legislative history of Civil Code section 3186 reveals nothing to suggest that in requiring the public entity to withhold the amount of its reasonable litigation costs upon receipt of a stop notice the Legislature intended to authorize an attorney fee award in favor of the public entity. The public entity is merely a disinterested stakeholder in an action to enforce a stop notice, acting as a custodian of the disputed funds [citations omitted], unless the public entity asserts an affirmative claim to some of the funds withheld. . . . An interpleader action provides a means for a party with no interest in disputed funds to deposit those funds with the court and obtain a discharge of liability. . . . The claimants to the disputed property are named as defendants. . . . 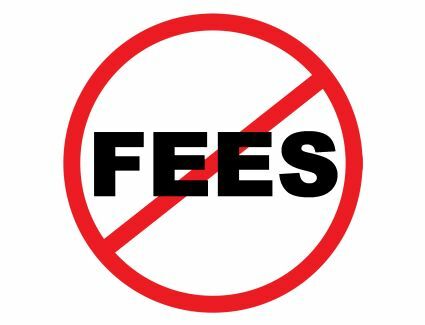 The trial court may discharge the interpleading party from liability to the claimants and may award the interpleading party its reasonable attorney fees and costs [citation omitted]. The District did not commence an interpleader action. This, to me, is the most interesting aspect of the case. On one hand, it suggests that a public entity might be able to recover its attorney’s fees if it interpleads funds held pursuant to a stop notice, but, because, as the Court stated, “[t]he District did not commence an interpleader action,” this portion of the decision is likely dicta since it does not involve an actual controversy between the parties. On the other hand, whether dicta or not, it seems like it would be an end run around the Court’s non-dicta holding that the public works stop notice statute does not provide for the recovery of attorney’s fees because if the Legislature had so desired it would have expressly provided for it.